A 13 year old Catholic girl was shot dead by Loyalist paramilitaries in Ballymurphy, Belfast. Martin McGuinness was released from prison in the Republic of Ireland having served a six months sentence. There was a debate in the Northern Ireland Assembly on a motion condemning power-sharing and the Council of Ireland. The motion was defeated by 44 votes to 28. At 6.00pm, following the conclusion of the Assembly debate, Harry Murray announced to a group of journalists that a general strike was to start the following day. The organisation named as being responsible for calling the strike was the Ulster Workers’ Council (UWC). The action was to become known as the UWC Strike. The Ulster Volunteer Force (UVF) and Sinn Féin (SF) were declared legal following the passing of legislation at Westminster. 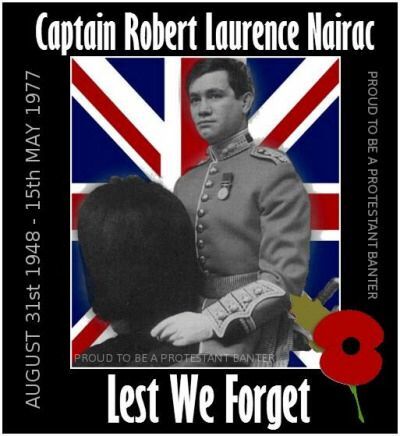 Robert Nairac (29), a member of the British Army, was abducted by the Irish Republican Army (IRA) outside the Three Step Inn, near Forkhill, County Armagh. His body was never recovered and he was presumed dead. He is listed as one of the ‘disappeared’. Brendan McLaughlin, an Irish Republican Army (IRA) prisoner in the Maze Prison, joined the hunger strike to replace Francis Hughes who had died on 12 May 1981. David Wilson (27), a British Army (BA) soldier, was killed by the Irish Republican Army (IRA) during a bomb attack on a permanent Vehicle Checkpoint, Castleblaney Road, Keady, County Armagh. The Sunday Business Post (a Dublin based newspaper) published a report of an interview with Peter Temple-Morris, then co-chairman of the British-Irish Interparliamentary Body. He expressed the view that Republican frustration with the lack of progress on all-party talks might lead to an end of the Irish Republican Army (IRA) ceasefire. Gunmen tried to kill a taxi driver in Milford village, County Armagh. The attempt failed when the gun jammed. 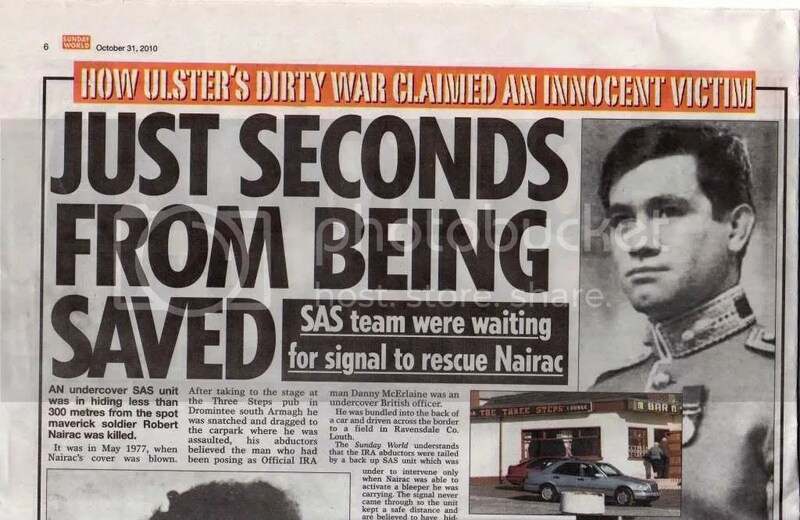 The Loyalist Volunteer Force (LVF) was believed to be responsible for the attack. 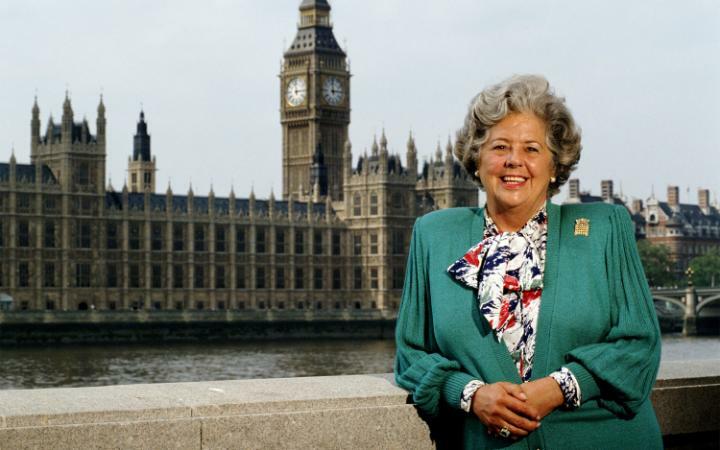 Betty Boothroyd, then Speaker of the House of Commons, ruled that the two Sinn Féin (SF) MPs would not be given office facilities at Westminster because they had refused to take their seats in the House. In the Queen’s speech setting out the Labour governments legislative plans it was announced that the North Report on parades and marches would be implemented in 1998. In addition the European Convention on Human Rights would be incorporated into forthcoming legislation on Northern Ireland. Tony Blair, then British Prime Minister, paid another visit to Northern Ireland to continue campaigning for a ‘Yes’ vote in the referendum. During his visit he delivered a key note speech. There were further political talks in London involving the two Prime Ministers and the leaders of the Ulster Unionist Party (UUP), the Social Democratic and Labour Party (SDLP), and Sinn Féin (SF). Before the meeting Gerry Adams, then President of Sinn Féin (SF) expressed concern about the state of the ceasefires of the main Loyalist paramilitary groups. He claimed that the Loyalist Volunteer Force (LVF) had co-operated with other Loyalist groups in carrying out attacks on Catholic homes. At the meeting Tony Blair, then British Prime Minister, announced an “absolute” deadline of 30 June 1999 for the formation of an Executive and the devolution of power to the Northern Ireland Assembly. Proposals put before the parties were thought to have been agreed by, David Trimble, then leader of the Ulster Unionist Party (UUP), the Irish Government, the Social Democratic and Labour Party (SDLP), and Sinn Féin (SF). Cyril Ramaphosa, former secretary-general of the African National Congress (ANC), and Martti Ahtisaari, former President of Finland, both of whom were appointed as arms inspectors arrived in Northern Ireland. The arms inspectors report to the Independent International Commission on Decommissioning (IICD). Shot while walking along Springhill Avenue, Ballymurphy, Belfast. Died one day after being shot during gun battle between Irish Republican Army (IRA) and Loyalists, Springmartin Road, Belfast. Found shot on waste ground, Hopeton Street, Shankill, Belfast. Died three days after being shot while walking along Raglan Street, Lower Falls, Belfast. Undercover British Army (BA) member. Abducted outside Three Step Inn, near Forkhill, County Armagh. Presumed killed. Body never recovered. Killed in rocket attack on Royal Ulster Constabulary (RUC) mobile patrol, Springfield Road, Belfast. Shot by undercover Royal Ulster Constabulary (RUC) members during attempted robbery at Post Office, Ballygalley, near Larne, County Antrim. Killed during bomb attack on British Army (BA) permanent Vehicle Check Point (VCP), Castleblaney Road, Keady, County Armagh.